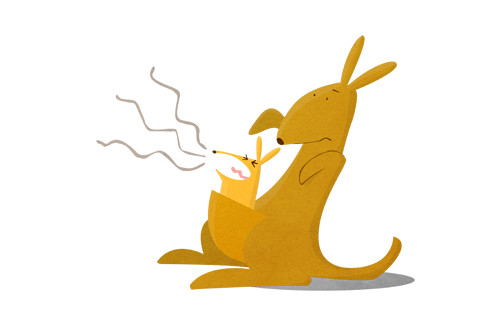 The official homepage of the funniest, most colorful, and noisiest book about "good manners" ever created for kids! 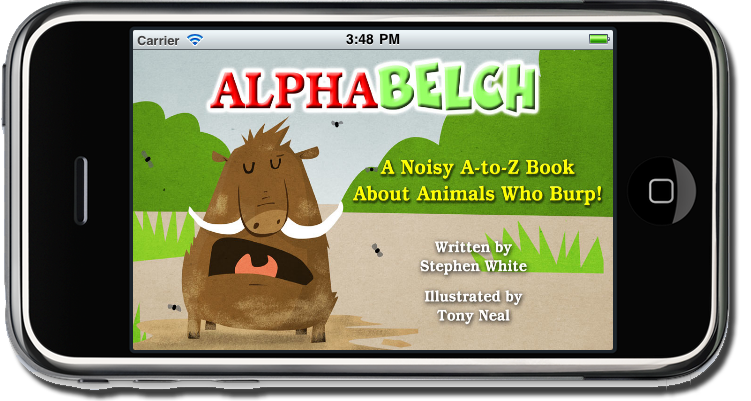 AlphaBELCH is a rhyming picture book created especially for the iPhone, iPod, iPad, and Android devices which shows animals from A-to-Z and tells the just-for-fun story of how each one burps, as well as offering a gentle reminder that humans need to show somewhat better manners! Each page features large, colorful, and delightfully humorous animal illustrations along with narration and interactivity which lets young readers hear extremely silly "burps" combined with sound effects and music. AlphaBELCH is a picture book, a sound machine, and a lesson in manners that is so much fun that kids may not even realize that they're learning while they laugh! Want to see a YouTube demo? Just click here! BIG NEWS! AlphaBELCH is now available as a paperback book with big 8.5" x 8.5" full color illustrations.